The real estate sector was expecting that the union Budget 2013-14 would be a supportive one for them. But however the budget did nothing special to the construction sector nor did anything harmful to the sector. Budget 2013-14 helps real estate sector only slightly. It was true that the real estate sector had been waiting for the Budget 2013-14, with the hope to gain some benefits and boosts from the finance ministry. Omitting the regulatory bill, industry status and single window clearances, the finance minister slapped on the real estate players sector slightly. All these were expected to be included in the Budget 2013-14. However, the finance budget included some good measures which will improve and boost the housing sector, especially the affordable housing segment. By providing Rs.1 Lakh deduction of interest rates to the first-time-home-buyers; for the loans up to Rs.25 lakh, the finance minister did address the buyers. This move of the finance minister is expected to drive the housing demand for the affordable housing units in the future. Appointment of the Regulatory Authority for the road sector to solve out the issues related to the acquiring of land parcels is another positive move included in the budget. The regulator is to look after the problems of the developers who find it difficult to construct on the corridors. The regulatory authority will be reviewing the performance and policies of National Highways Authority of India. 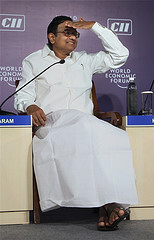 Chidambaram has to cover his face as finance budget 2013-14 provide no better relief, as expected. The budget has also reduced tax exemption to homes above 2000 sq. ft. from 75% to 70%. This will affect the luxury housing segment and will be applicable to all homes worth over Rs.1 Cr. Speaking about the budget and its impact on the real estate sector Supertech Realty Group’s MD Mr. RK Arora said that he felt upset when he heard the news to levy TDS on property transactions beyond Rs.50 lakh. He added that this would have a negative impact on the real estate market which is already sluggish. Jones Lang LaSalle India’s Chairman & Country Head Mr. Anuj Puri was of the opinion that though the budget is a moderate one as a whole but was really tepid for the realty sector. He; mentioning the Rs.1 lakh deduction, added that the budget would only help the affordable housing sector in the tier-2 and tier -3 cities and not the entire sector. Mr. Puri added that the budget’s focus on education and job creation would certainly benefit the real estate sector. Education is now a subsidiary segment of real estate and the focus on the education will boost the real estate sector. NAREDCO President and Raheja Group’s CMD Mr. Navin Raheja said that he was expecting infrastructure status to the housing sector at least. Another expectation was the deduction of cost of finance for the construction. In short the Budget 2013-14 provided nothing big or special to the real estate sector. The budget will help real estate sector only in a smaller way as there are some initiatives to improve the housing demand. Some of the builders fear that the increased tax on the super-rich class would affect the sale of luxury housing units. This entry was posted in Real Estate News by designer. Bookmark the permalink. Pingback: Budget 2013 presented: Where realty sector stands now? Pingback: Union Budget 2013-14: How it affects the common folk?